225 Commonwealth is located on the north side of Commonwealth, between Exeter and Fairfield, with 223 Commonwealth to the east and 227 Commonwealth to the west. 225 Commonwealth was designed by Peabody and Stearns, architects, and built in 1884 by Woodbury & Leighton, masons, one of two contiguous houses (225-227 Commonwealth). 225-227 Commonwealth were built in the same basic design, with a three story bow on the west side, a rusticated stone façade on the basement and first story, and a heavy parapet at the roof. 229 Commonwealth, also designed by Peabody and Stearns and built slightly earlier and by a different builder, followed the same basic design. Three houses were distinguished by the use of different materials and different details for the entrance, fenestration, and parapet, variations on the same theme. 225 Commonwealth was built as the home of Dr. William Lambert Richardson and his wife, Olivia Lane (Aitchison) Richardson. They previously had lived at 76 Boylston. He is shown as the owner on the original building permit application, dated June 9, 1884. 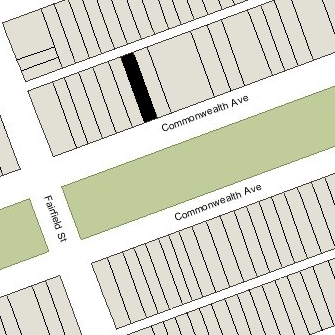 William Richardson purchased the land for 225 Commonwealth on May 2, 1884, from Nelson Slater Bartlett, trustee under the will of his father, Matthew Bartlett. It was the eastern 24 feet of a 26 foot wide lot Nelson Bartlett had purchased on March 5, 1884, from Henry Saltonstall. The 26 foot wide lot was the western half of a 52 foot wide parcel that Henry Saltonstall had purchased from the Commonwealth of Massachusetts on November 27, 1880. Click here for an index to the deeds for 225 Commonwealth. William Richardson was a physician. He served as a member of the First Corps of Cadets from 1864 until 1899, when he retired with the rank of Lieutenant-Colonel. Olivia Richardson died in January of 1890. 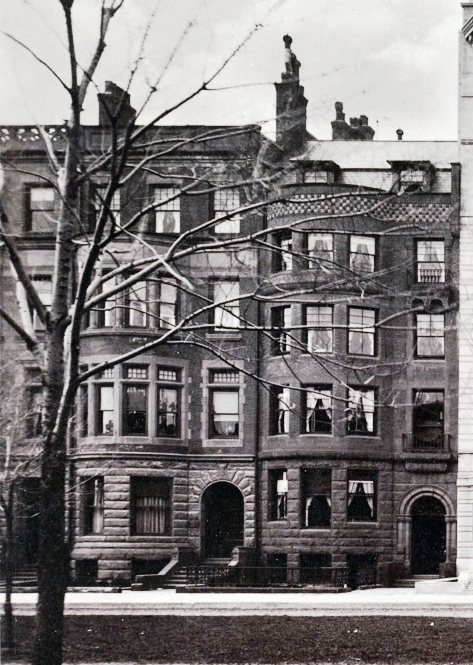 William Richardson continued to live at 225 Commonwealth until his death in October of 1932. The Richardsons had no children and, in his will, Dr, Richardson included a number of significant charitable bequests, leaving the residue of the estate — including 225 Commonwealth — to Harvard College. 225 Commonwealth was not listed in the 1933-1937 Blue Books and was shown as vacant in the 1933-1939 City Directories. On December 7, 1938, 225 Commonwealth was acquired from Harvard College by real estate dealer Henry Joseph O’Meara, and on December 12, 1938, and it was acquired from him by the Disabled War Veterans Association. In October of 1940, it applied for (and subsequently received) permission to convert the property from a single-family dwelling into a club. The Association continued to be located at 225 Commonwealth until about 1942. On March 19, 1942, real estate dealer Ray C. Johnson, foreclosed on a mortgage given by Henry O’Meara and assumed by the Disabled War Veterans Association, and took possession of 225 Commonwealth. On December 20, 1942, 225 Commonwealth was acquired from Ray C. Johnson by Henry O’Meara’s wife, Mildred Marie (O’Brien) O’Meara. The O’Mearas lived in Manchester and leased 225 Commonwealth to others. In 1943, 225 Commonwealth was the home of Judge Emil E. Fuchs and his wife, Aurellia (Marcorice) Fuchs. They previously had lived at the Hotel Victoria at 273 Dartmouth. He was a lawyer and former New York magistrate, and had owned the Boston Braves baseball team from 1923 through 1935. By 1944, Henry and Mildred O’Meara had made 225 Commonwealth their home. Although it was a single-family dwelling, they also accepted lodgers. Henry (Harry) Joseph O’Meara was a real estate dealer and former business associate of Joseph P. Kennedy (not long after graduating from Harvard in 1912, Joseph Kennedy was an early investor in Henry O’Meara’s company, and served briefly as its treasurer). 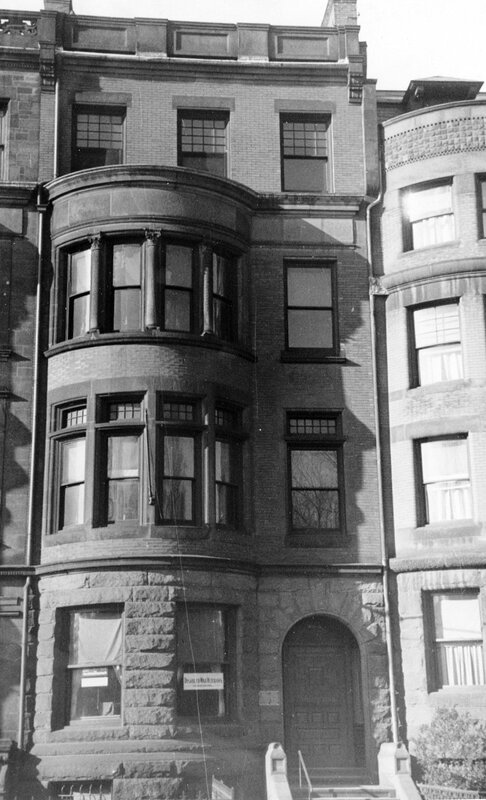 The O’Meara’s continued to live at 225 Commonwealth until about 1950. They subsequently lived in Osterville and by 1953 were living at 105 Marlborough. On July 19, 1950, 225 Commonwealth was acquired from Mildred O’Meara by Ernest P. Coulon, treasurer of the Hotel Vendôme, where he also lived. The hotel was owned by the Coulon family. On January 5, 1951, 225 Commonwealth was acquired from Ernest Coulon by Aldo G. Fioravanti, a jeweler. He and his wife, Anna May (Accomando) Fioravanti, lived in Arlington. 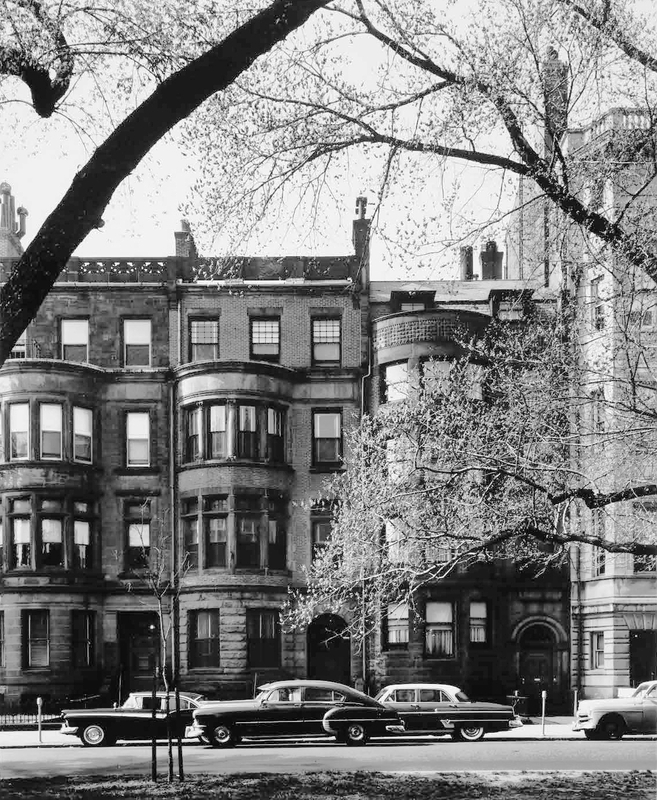 In December of 1951, Margherita Grilli applied for (and subsequently received) permission to convert the property from a single-family dwelling into ten apartments. Margherita Grilli was Aldo Fioravanti’s maternal aunt (he was the son of Louis (Luigi) Fioravanti and Rosina (Ercolani) Fioravanti). She and her husband, Silvestro (Silvio) Grilli, lived at 282 Commonwealth. He was a manager and later vice president and manager of Pieroni, Inc. restaurant operators. 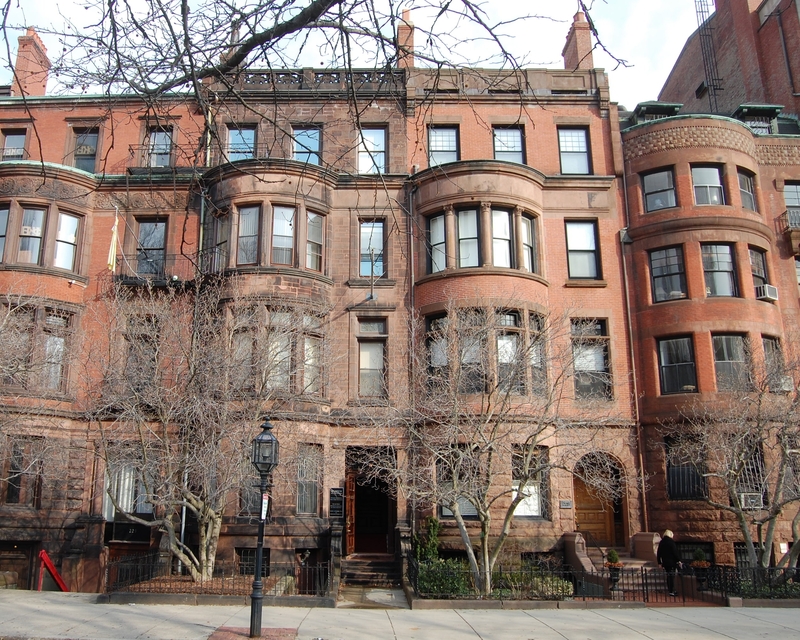 Aldo Fioravanti also owned 249 Marlborough, and on May 31, 1958, he transferred both 225 Commonwealth and 249 Marlborough to Margherita Grilli as trustee of the Grilli Realty Trust. Margherita Grilli died in December of 1960 in Rome. On June 15, 1962, Aldo Fioravanti and his brother Luca J. P. Fioravanti, successor trustees of the Grilli Realty Trust, transferred 249 Marlborough and 225 Commonwealth to themselves as trustees of the Grilli Investment Trust. On June 20, 1981, they transferred both properties to Frederick J. Conway, trustee of The Grilli III Trust. Aldo Fioravanti died In November of 1981, and on July 26, 1983, Frederick Conway transferred 249 Marlborough and 225 Commonwealth to Aldo Fioravanti’s widow, Anna May Fioravanti. On November 20, 1985, 225 Commonwealth was purchased from Anna May Fioravanti by H & P Associates Limited Partnership II and First American Development Corporation IV, doing business as Commonwealth Marlborough Associates. 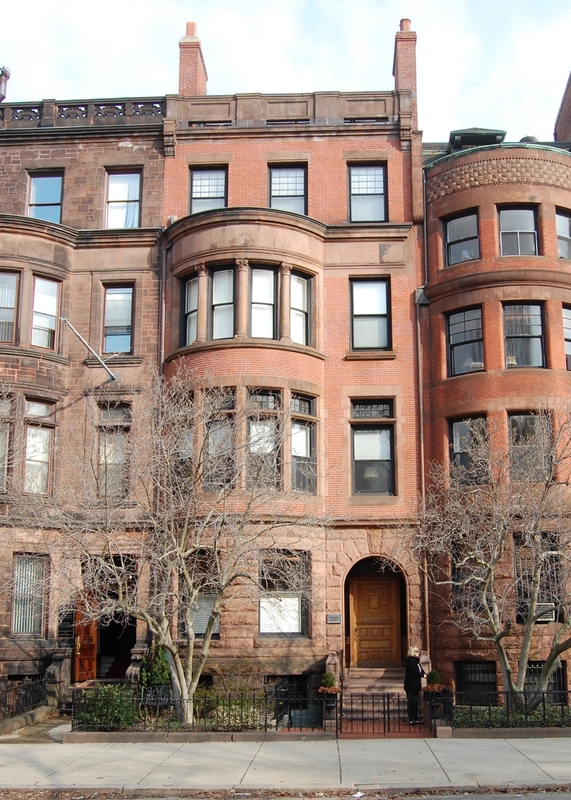 The consortium purchased 249 Marlborough at the same time. In April of 1986, it applied for (and subsequently received) permission to convert 225 Commonwealth from ten apartments into six apartments. On June 30, 1986, 225 Commonwealth was acquired by Wolf Weinhold and Leslie Levy, trustees of the 225 Commonwealth Trust. On November 18, 1992, the Federal Deposit Insurance Corporation, acting as liquidating agent for the First American Bank for Savings, foreclosed on a mortgage given to the bank by the 225 Commonwealth Trust and sold 225 Commonwealth to Luzern Vista, Ltd. (Adzam Yusof, president and treasurer). In April of 1993, Luzern Vista applied for (and subsequently received) permission to renovate the building. On April 26, 1994, Luzern Vista converted the property into six condominium units, the 225 Commonwealth Condominium.